There are so many cause for celebrations that if we started listing them all here it would go on forever. Be it a birth, a wedding, a job or whatever, finding a unique way to send your congratulations to somebody you have only conversed with via email or Skype during the course of your work can be tricky. A written 'Congratulations' on a message is pretty lazy to be honest, and proves you haven't put a lot of thought into it. Ecards could have been invented for situations such as this as they cover so many events and occasions that you can easily find one that fits the bill. These Celebratory business ecards get the message across in a thoughtful way without being too over familiar. 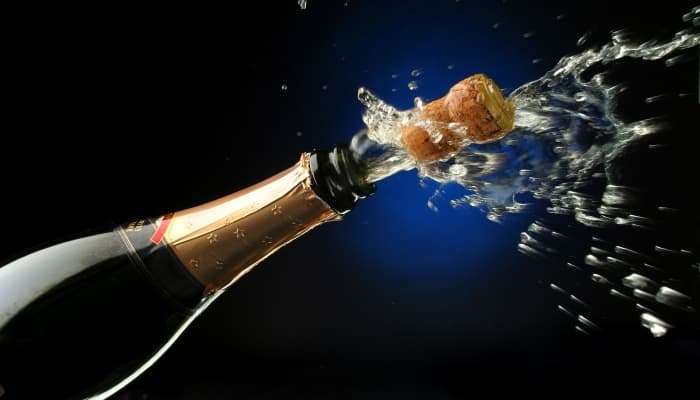 The image is simple but speaks volumes; a bottle of Champagne popping. What more universal symbol of celebration is there? You have the option of adding your own personal message as well of course, or you can just add your signature. This arriving in somebody's inbox will be very gratefully received, and could also go a long way to maintaining good business relations as you have made more of an effort than the aforementioned 'congratulations' in a message box or email. If your business has always considered ecards for your Christmas holiday messages to clients but have never found the right company then why not check out our holiday ecards for business, you won’t be disappointed.